Having worked in the healthcare setting for over twenty five years, I have heard your story. I have heard your story about being diagnosed with a serious medical illness and not knowing your options of where to turn next. I have heard your story about your healthcare providers not communicating with each other. I have heard your story about being rushed through your doctor's visit, and you left the appointment with unanswered questions. I have heard your story about not knowing your rights as a patient. So your story has become my story; my story of a passion that was born to help you, the healthcare consumer, get to the heart of the matter of navigating through America's complex Healthcare system, so that you can journey your healthcare experience with ease, understanding, and satisfaction. 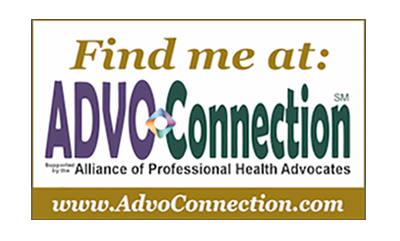 Barbara O'Halloran Smith, Board Certified Patient Advocate is founder and president of ABC FOR YOUR HEALTH, LLC: a private, independent, and professional patient advocacy and healthcare liaison firm. Barbara brings to her clients a wealth of education and experience. She has earned an Associated Degree in Medical Administrative Assisting from Hesser College, a Bachelor of Science Degree in Leadership from Northeastern University, a post Bachelor Certification in Patient Advocacy from UCLA Empowered, and a Certificate in Case Management from Boston University School of Social Work. 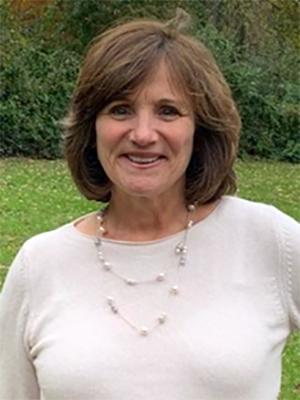 Barbara also has over 25 years work experience in the healthcare industry with backgrounds in family medicine, pediatrics, and specialty; most recently a leadership role at Beth Israel Deaconess Healthcare, working to coordinate patient care in a primary care setting. 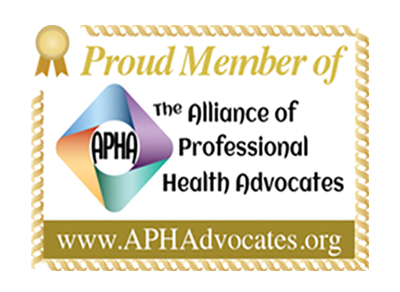 As a patient advocate and healthcare liaison, Barbara's allegiance is to the client and their family; not to the healthcare provider, corporation, or insurance industry. To create a Person Centered Plan of Care, Barbara sees the client and their family as the primary stakeholders, placing them at the center of the decision making process for their own health and well-being, as an effort for clients to successfully achieve their healthcare goals. Why we do this The healthcare market of today has transitioned from sole ownerships and small practice partnerships, into consolidated healthcare corporate conglomerates. These transitions have placed increasing restrictions onto the healthcare provider making it much more difficult for them to deliver the highest quality of care. Providers must adhere to these restrictions by the healthcare organizations who employ them, as well as the insurance companies who reimburse them; restrictions that ultimately impact the cost, quality and access of healthcare for the consumer. I don't understand why my doctors don't talk with each other. 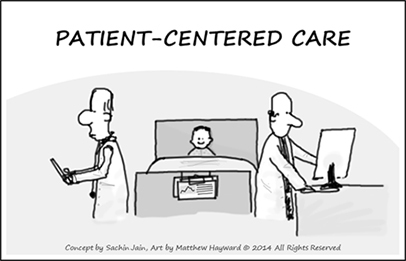 My cardiologist doesn't talk with my primary care doc and my primary care doc doesn't talk with my eye doctor. I need someone who will make sure all my doctors are communicating with each other". At ABC FOR YOUR HEALTH we work with clients and families to develop a "Person Centered Plan of Care", which involves active participation from the client and those family members designated by the client to be a participant in the decision making process. By asking questions and gathering input from family, loved ones, the healthcare provider, as well as the entire interdisciplinary healthcare team, an effective care plan can be developed, which addresses how the client's needs and healthcare goals can be achieved. The result is an individualized care plan that supports personal life choices.